As early as 1800 BC, the precious metal bronze was discovered in central European regions. Over time, it became increasingly popular and in demand. Even then, our ancestors recognized the great value of this wonderful material, which changed the habits of life to a hitherto unimaginable extent. The high value of bronze was shown above all in an artistic and harmonious design. Are you looking for a special bronze figure for your home? Then you are exactly right at Casa Padrino! 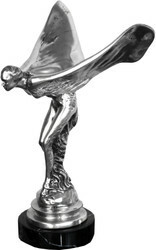 We carry in our assortment numerous bronze figures, which are stylish and luxurious at the same time. Let yourself be inspired by our selection of animal figures, bronze figures of children and modern sculptures. We are happy to welcome you in our shop in the beautiful city of Essen (Germany). 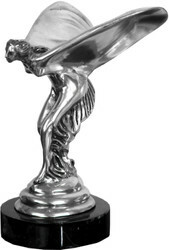 Here we have a large selection of bronze figures ready for you. Do you have any questions about our sculptures or would you like a special offer? Please come to us. Idealism and passion are very important at Casa Padrino. If you have questions or special requests regarding our offers, please call us on the hotline + 49-201-36577485 and our qualified support will help you in every detail! Casa Padrino, your baroque wholesaler on the internet and on site. Just magical.